Book DescriptionOne of the main reasons the Sicilian is the most popular opening is that is it promotes such bold and aggressive chess. But as White it's not enough just to attack; you must do so in the right way, using the appropriate weapons. In this book Yury Lapshun and Nick Conticello introduce, categorize and analyse the "Seven Deadly Sacrifices" White has at his disposal. 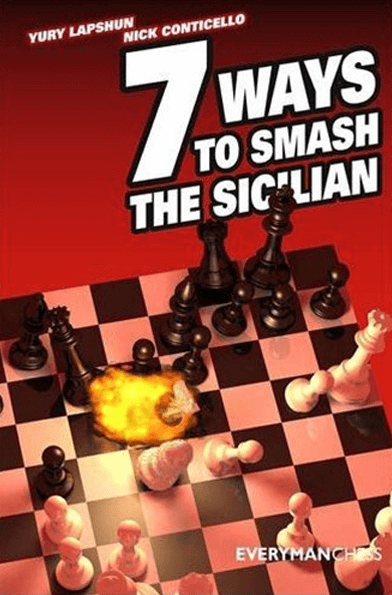 It's impossible to play Open Sicilian positions with either colour without an intimate knowledge of these sacrifices, and by using illustrative games the authors teach you everything you need to know, including the vital skill of how to recognize when favourable sacrificial conditions arise.